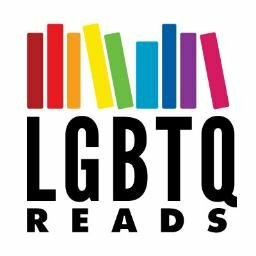 Bonus: For great books with major queer characters that also have autistic main characters (but not queer, autistic MCs), check out On the Edge of Gone by Corinne Duyvis and Queens of Geek by Jen Wilde. For a short stories, try “Four-Point Affective Calibration” by Bogi Takács and “Tenderness” by Xan West in Queerly Loving 2. Oh man, I’ll have to check out all of these (including the non-queer ones)! A few of my friends are on the neurodivergent spectrum and it’s something I want to understand more about. Which book would you recommend starting with? Good question! I haven’t read all of them yet – I just know they come highly recommended – but I personally loved ON THE EDGE OF GONE, and I’ve probably heard the most positive raving about FAILURE TO COMMUNICATE. I should also add that I didn’t know it when I wrote this list, but AN UNKINDNESS OF GHOSTS by Rivers Solomon apparently also has fantastic autistic rep, so there’s another one to check out, especially if you like sci-fi!